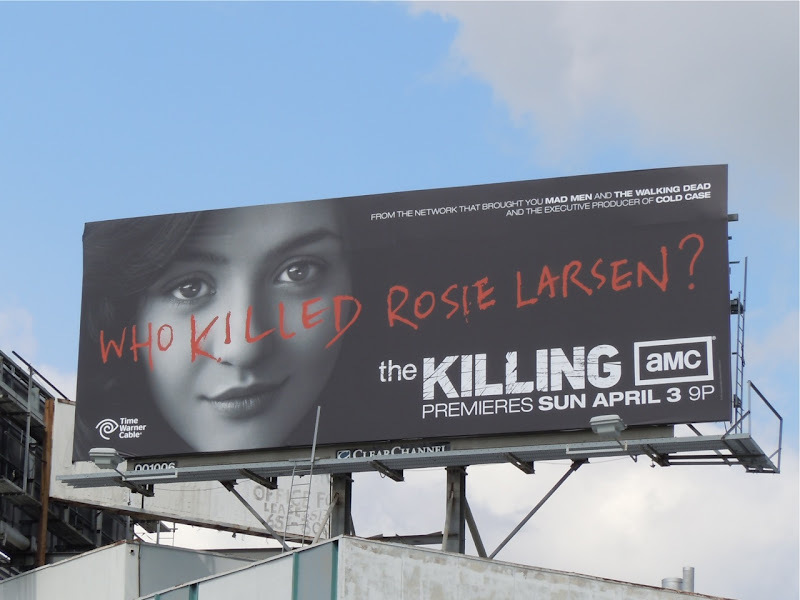 Daily Billboard doesn't know the answer to this intriguing question, but it certainly grabs your attention. In a way there's also something slightly Twin Peaks about this mono image which evokes memories of 'Laura Palmer' in that classic cult TV show. 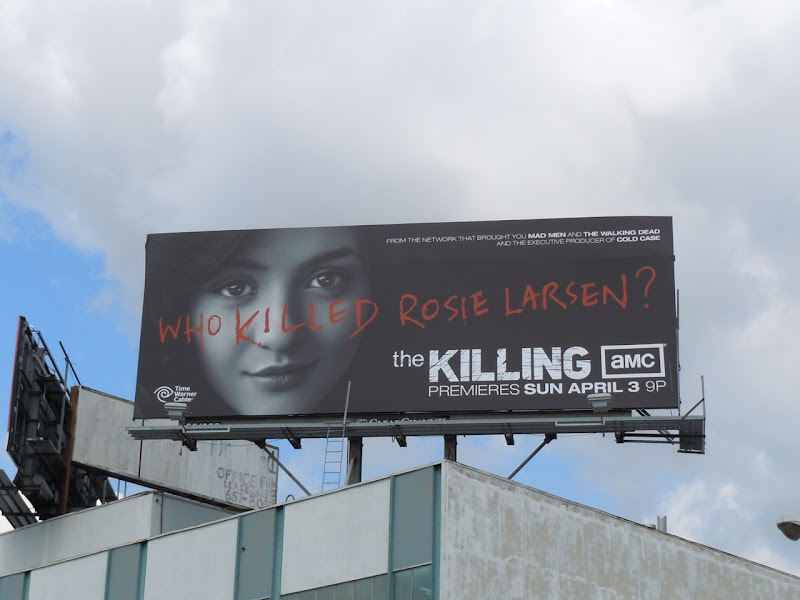 AMC's The Killing is a remake of Danish television show and the thirteen episode series will follow the police investigation into the lives of the friends, family and suspects of the murdered young girl, 'Rosie Larsen'. In case you're wondering who the girl in the picture playing Rosie Larsen is, it's actress Katie Findlay. 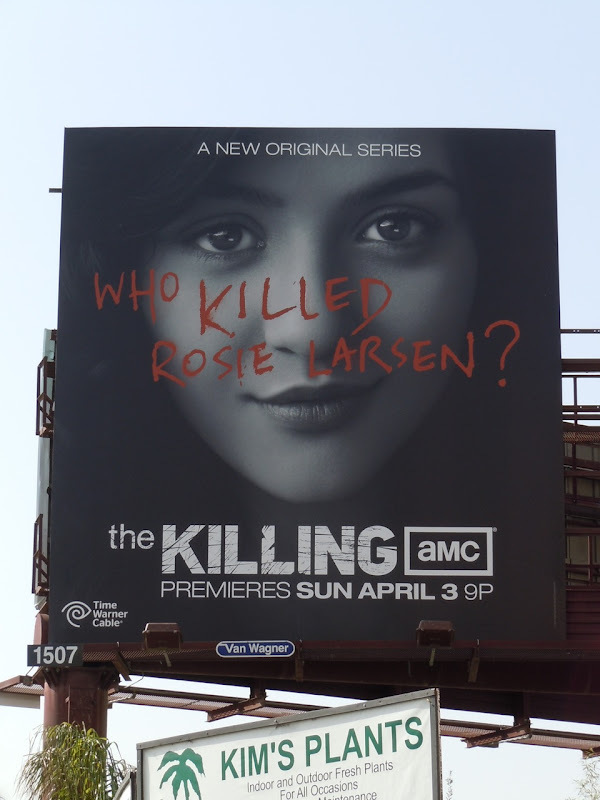 The square format billboard for the new crime drama was snapped along La Brea Avenue near Fountain Avenue and the more conventional shape along Beverly Boulevard at Crescent Heights Boulevard on March 22, 2011.